Lately for some reason I’ve been really put off my contemporary reads but this put me right back in the mood for them. I love how light and fluffy the whole story was, while also dealing with very real issues that girls go through in high school. I think the whole premise was really adorable too. I think this may go down as my favorite read for the entire year, unless something else comes along to beat it which I highly doubt. 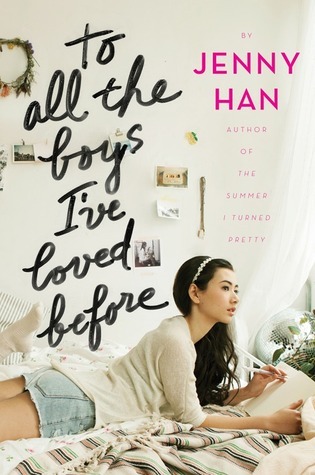 I’ve also never read a Jenny Han novel before and can’t wait to get my hands on the rest of her works! This made me laugh and sometimes tear up and it warmed my heart. I loved it so, so much and can’t even fathom why I waited this long to read it. Now off to go purchase it for myself! I love this book too. It’s beyond awesome. I love Peter and I can’t wait to see what’s going to happen next or how it all ends.